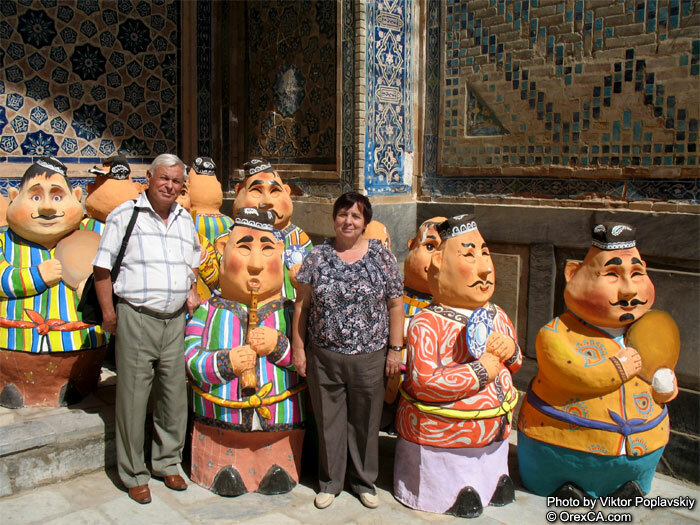 Description: breathtaking travel in Uzbekistan and Kyrgyzstan along The Great Silk Road. Tour package consists of combination of historical, architectural and cultural components. The Great Silk Road, one of the most significant achievements in history of the World civilization. 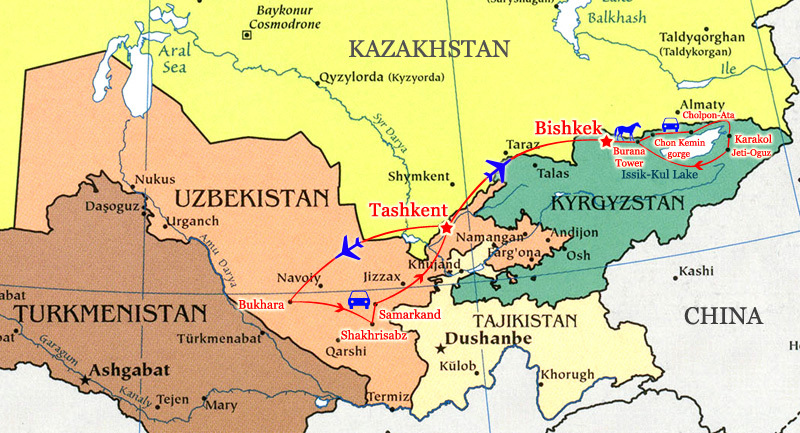 The longest route of the Silk Road passed through the territories of Central Asia, including Kyrgyzstan and Uzbekistan. The Great Silk Road as a trading route appeared in 3rd century B.C., and existed up to the 16th century. The ancient trading cities located along the Silk Road experienced devastating wars, devastation, fires, famine and death. Some of those cities have sunk into oblivion, having left ruins covered with legends to their descendants, others were repeatedly razed, perished, and again revived to amaze the world with the riches, blue of domes, openwork terracotta ligature of the mausoleums and mosques. For centuries, The Great Silk Road has been traveled by conquerors, traders, missionaries, geographers and more recently, by travelers. It has served as a fundamental link between the East and the West, exchanging cultures, crafts, ideas, technologies, beliefs and peoples. Departure to Tashkent by flight TK 370 at 18:55. Arrival to Tashkent at 01:30. Transfer to domestic airport at 05:50. Departure to Bukhara by flight HY-1321 at 07:30. At 09:15 arrival to Sacred Bukhara - one of the most esteemed cities of Islamic civilization. Accommodation in a hotel. Free time for rest and walking through the old streets of Bukhara. One of the "1000 and 1 nights" in Bukhara. Breakfast. Continuation of city tour: a walk through the old streets. Breakfast. 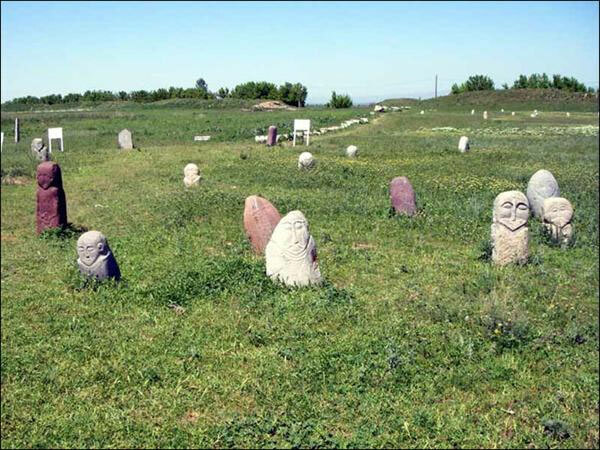 Transfer to Shakhrisabz - a unique monument of town-planning and architecture (270 km, 3.5 hrs) - a unique monument of town-planning and architecture. 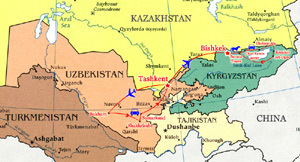 Shakhrisabz tour. Drive to Samarkand (90 km, 1.5 hrs). Late afternoon arrival in Samarkand and hotel accommodation. Breakfast. Drive to Tashkent (315 km, 4 hrs). Arrival to Tashkent at 11:25. City tour. Transfer to Tashkent Airport at 20:25 for flight to Bishkek HY 777 at 22:40. Arrival to Manas International Airport at 01:45. Transfer to Bishkek (30 min drive). Accommodation in a hotel. Breakfast. City Tour. Oriental Bazaar and many others places of interest. Breakfast. Transfer by car from Bishkek to Chon Kemin gorge. On the way visit Burana Tower and Balbals. Arrival in Chon Kemin gorge. Start the horse riding tour. The route go high in the mountains and through a mountain forest. Lunch in a home of a local family to find out more about Kyrgyz people. Dinner. Overnight in a guesthouse. Breakfast. Drive to Karakol town along the northern shore of Issyk Kul Lake. The lake is called "the pearl of Central Asia". 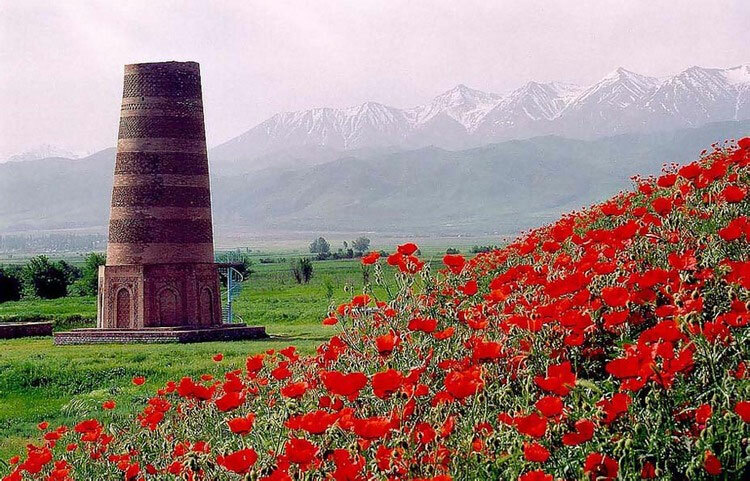 On the way possible a stop to have a radial hiking to the famous Red Canyon Konorchek. The hike will take about 3-4 hours. At the end of the route the panorama view of the whole canyon. Traditional dinner and overnight in a hotel. Breakfast. Drive to the impressive Djeti Oguz gorge and a Broken Heart Mountain. After a short hiking tour, drive to Bokonbaevo village. Visit in Bokonbaevo village Talgat's House. He is a famous hunter with golden eagles. Drive to Bishkek. Farewell dinner in a national restaurant. Overnight in Bishkek. Early breakfast at the hotel. Transfer to the Manas International Airport for back-flight to Istanbul flight TK 349 at 05:45. Good bye to the wonderful land, back to monotony with the intention of returning. mineral water (2 half-liter bottles a day per person).